When confronted with charges of harm to another person, occasionally defendants will claim “Gay Panic” in explaining why a defendant harmed another person of the same gender. The defense is banned in some states, because it argues that the defendant acted in the way they did because of unwanted advances by a person of the same gender. In short, defense attorneys, desperate for any defense of their client, resort to playing on people’s prejudice against LGBTQ people, even to the point of excusing harm done to others. 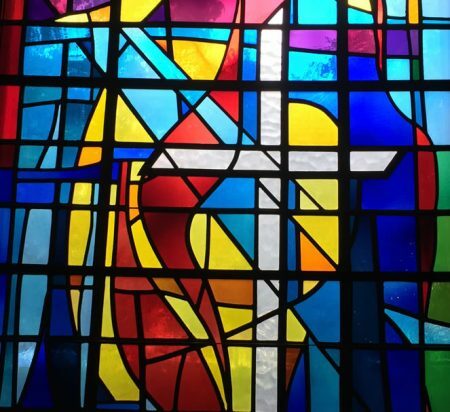 Looking back over the past ten years, a similar form of Gay Panic Defense has halted efforts towards equality, women’s empowerment, and even the foundational pieces of our United Methodist theology. 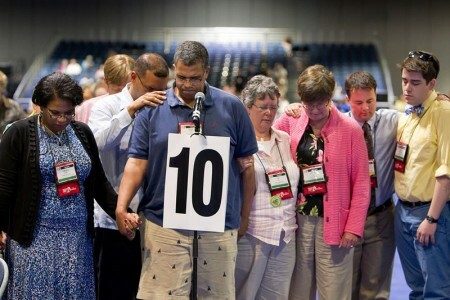 In 2008, the UMC passed a series of constitutional amendments, to be approved by the annual conferences. It would have equalized the structure of The United Methodist Church worldwide, making our unique denomination more equitable worldwide. The conservative caucus groups rallied against them, with former Asbury President Rev. 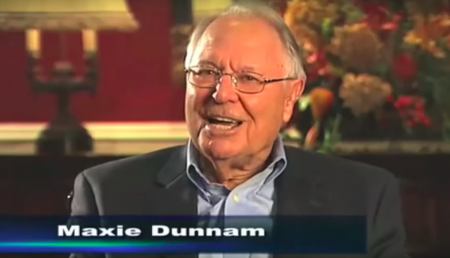 Dr. Maxie Dunnam making videos against them (this is the best video). They did so by alleging this was a pro-gay plot by Gay Texans and that a vote for it was a vote for homosexuality. The amendments failed in 2009, and the structure of The United Methodist Church remains untenable and inequitable, which has lead to harm and inequality across our denomination. Gay Panic prevailed, but what a pyrrhic victory that hobbled a global church! Sounds great, right? It’s a quote of Romans 8, and it’s a direct reference to John Wesley’s doctrine of prevenient grace. Gay Panic, fear that a quote from the Bible was a backdoor to LGBTQ inclusion, drove some of the 47% to oppose a fundamental United Methodist doctrine of equity and equality before God. Incredible. Finally, we get to this past week’s debacle: the Constitutional Amendments related to the inclusion of women and girls in The United Methodist Church’s inclusion statements. Two attempts to get language supporting women’s and girl’s equality in the church–which oddly is not in our highest doctrine, despite our status as the largest American denomination that ordains women–both narrowly failed with over 15,000 United Methodist representatives voting against them. Here’s a video response. While each statement of opposition or support refer to women, the Annual Conference floors was they were hotbeds for concerns about LGBTQ inclusion. Amendment #2 was claimed to be a secret attempt to include transgender* persons in the church, which we do anyway (we have no polity against trans* persons). Such a claim made it impossible for some African conferences to have public debates on the Amendment, due to some cultural norms against open discussion of sexuality. 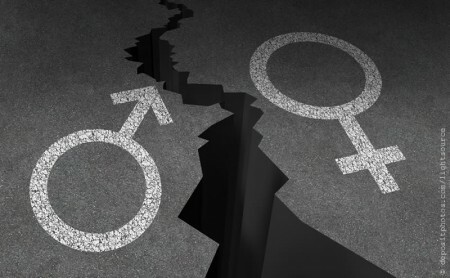 Gay Panic provided a convenient cover to stop a statement of full inclusion to women and girls from becoming one of the highest levels of UMC polity. The sigh of relief you might have heard on Thursday, May 10th 2018, was the announcement that one of the Constitutional Amendments above had included language that had actually been removed at General Conference. The entirety of United Methodism voted on the wrong copy of the amendment. So we get a redo. The news of this re-vote means that we United Methodists have a rare opportunity to right an injustice. While this doesn’t erase the painful message sent by the first vote, the United Methodist Church has the opportunity to send a new message. We urge those who voted against Amendment I to listen to women and learn why it matters to them that God made them in the Divine image. We also urge all disappointed by the original vote to remember that Amendment I failed by a margin of fewer than one hundred votes. In light of this, we urge all clergy and delegates to vote at their respective Annual Conferences. Your vote matters. Show up. Vote. Affirm that God has created women and men equal in God’s image. Conservatives are rejoicing that they can support for women and girls now that they do not have to have a conversation about the gender of God, and that they still defeated the other amendment due to gay panic. The about-face on the amendments reveals a common thread from 2008 to today: anything that challenges patriarchy is to be opposed by all means necessary, including gay panic. Gay panic is used to keep structural changes at bay because changing the game moves patriarchy to a new playing field they haven’t utterly dominated. This also applies to the One Church model which keeps pro-gay conferences from infecting others. Gay panic so utterly colors the debate that basic affirmations from Romans and Wesley are narrowly supported because “they might be about The Gays,” which challenges heterosexual patriarchy’s dominance. Gay panic is used to mask theologies that see women and girls as less than men, so much so that they allow that panic to oppose adding their affirmation to our highest polity, less it dilutes claims about the “correct” gender of God. Perhaps one of the most lasting consequences of this gay panic defense is its effect on a single influential bishop. 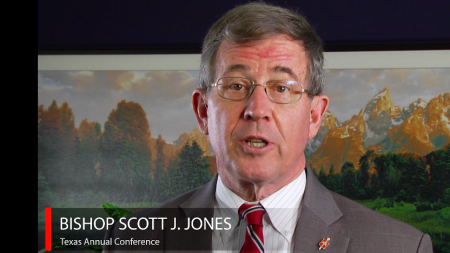 Bishop Scott Jones was the principal advocate for the constitutional amendments from 2008, and he got burned by his own supporters for it. In response, Bishop Jones has not wavered from his support of clergy trials and his opposition to structural equality in A Way Forward. Indeed, last week he wrote a Judicial Council brief challenging the legitimacy of A Way Forward’s process, in direct opposition to the rest of the Council of Bishops who supported the process. Charitably, I could see Bishop Jones’ actions as recognition of gay panic and his desire to eradicate it from the United Methodist Church. But rather than lead the whole church to justice and inclusion, his choice is to remove LGBTQ inclusion and progressive influence from the United Methodist Church, by all means, so gay panic can no longer derail other efforts. Who knows what will be next. A sad choice of mission from a powerful bishop over one of the largest annual conferences in United Methodism. 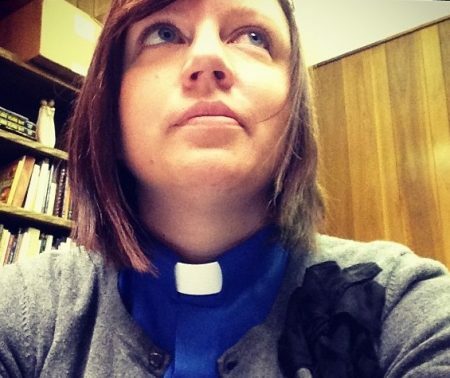 Gay Panic is a form of patriarchy that is keeping The United Methodist Church from affirming women and girls and creating the structural changes it needs to be an equitable worldwide denomination. There are many actors and many causes that perpetuate this situation, and all are called to repent, support women, girls, and structural equity, so that patriarchy might be silenced, and equity under God might reign. What gives you the right to stereotype everyone who does not agree with your beliefs and think that you understand the motivations why that they do things? Also, why didn’t you ask the question as to how a constitutional amendment could be allowed to be put forth for a vote and have such a bad typo (a whole line!)? That part is absolutely, unfreakin’ believable. This whole UMC thing is turning into a dog and pony show. It’s embarrassing. I’ll be glad when some sort of “Way Forward” is finally implemented and this kind of BS is over with. I’m sorry I didn’t address in my blog post an unanswered question of yours that i did not ask. I’ll try to incorporate it if I do ask it in a future post. Dr. Dunnam is one of the most loving persons I know. You are telling me that this man who stood up for civil rights here in Memphis when it was definitely not an easy thing to do (as it is today when all of you’ve got to do is drop an internet post and you’re automatically a “social justice warrior”) . . .
. . . he (and those associated with them/ right? “guilt by association”) opposed this bill and other things because of “gay panic” (whatever that is/ thank you Jeremy for your mental diagnosis of the rest of us) and a devotion to patriarchy? Dude, you are slandering people. And I don’t know who made these videos but they were totally disrespectful to a man who loves God and has sacrificed some things for the Gospel. He has done tremendous things to bring about racial reconciliation and peace in the Memphis area, you know, the place where Dr. King was assassinated. I have tried to stay in the conversation but this is too much. I won’t be back. Hi Josh, thanks for replying. I know Dr. Dunnam as well and have had several conversations (1 on 1s) with him since 2004’s General Conference. I won’t compare experiences or opinions as we know people from a context and a place that is usually not the same. Thanks for sharing yours. I think you are misreading the post. I said that Gay Panic was a tactic being used by the caucus groups and individuals, not that they themselves are secretly gay or under some sort of mental diagnosis. Sometimes when we get too emotional, we don’t read arguments clearly. Thanks for this, Jeremy. I don’t believe that correcting the language of Amendment 1 will lead to any greater acceptance of the amendment by the conferences that voted it down the first time around. If some parts of our denomination are terrified of the notion of a genderless God or God having feminine as well as masculine attributes (which is clearly attested throughout the bible, see ‘She Who Is’ for the evidence), I can’t imagine those misogynists are suddenly going to become enlightened when they read the corrected language in Amendment 1. After all, they also caused the failure of Amendment 2 to pass, which would have prohibited discrimination based on age, gender, ability and marital status in deciding who can be UMC members and who can participate fully in all the church’s ministries. 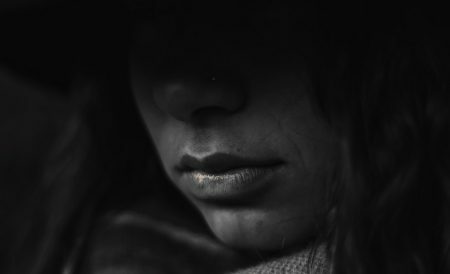 Our polity is broken because the most misogynistic and homophobic part of our denomination can prevent us from “doing justice” to all God’s beloved children As Molly Ivins used to say, our extreme fear causes us to hurt ourselves as well as others. I disagree Dr. Callahan. The offending sentence in the proposed amendment was (a) never properly before the voters because General Conference had overwhelmingly voted to remove it from the proposed amendment and (b) obviously theologically unsound. Do you deny Christ’s Divinity? Do you deny Jesus Christ was also a human male? Jesus is part of the Triune God and Jesus is clearly male. That fact in no way diminishes women or the role of women in our faith tradition. I can support any amendment that verifies the equality of men and women in the eyes of God, but frankly I have no interest in attempts by those with a more radical feminist bent who try to “correct” or “shame” those of us who affirm at each service our belief in God the Father and his only begotten Son. If you wish to label me a misogynist because of my beliefs, then that’s your prerogative. It doesn’t make it true, it just makes it your opinion and your need to label those with whom you disagree. How we imagine God has profound effects on how we view our fellow human beings, especially in the way we privilege one gender (male) over all others (female, non-binary, gender-fluid and so on). I have no problem agreeing that Jesus who was a human being was male, but I cannot stretch that maleness of Jesus to extend to the ineffable Creator God or the Holy Spirit of the Trinity. To make such a stretch is idolatrous in my view, especially since Genesis tells us clearly that God created male and female in God’s own image. I think there is good historical evidence to show that patriarchal notions of God and the Trinity have been used for centuries to justify discriminatory treatment of women, girls and people of non-binary genders that has historically lead to those people being treated as less than full human beings with diminished rights and value in comparison to males. Often these diminished rights have been enshrined in laws made, of course, by men. It is against that historical background that I argue that gendered notions of God are inherently misogynistic in that they can and have led directly to behaviors, laws, rules and customs that have caused serious harm to women, girls and persons of non-binary gender identity over the centuries, harm that continues to this day. I would not call such a belief ‘radically feminist’ as there are many male, female and non-binary theologians who see things the same way. But if you want to use such a label for me, it is your prerogative. I fully admit that what I have written is my ‘opinion’ just as you must admit that what you have written is your ‘opinion’. Since neither of us speaks for God, our opinions are all we have to express when we discuss theology. Hi Dr. Callahan. I agree with you that we are both just speaking our opinions. I agree with you that males have in our human history treated women as chattel or as second class citizens. I disagree however that in the UMC in 2018 women are treated as less than equal. I won’t wander into your references about non-binary individuals, as the Amendment in question has nothing to do with homosexuals or non-binary individuals. I disagree with your opinion that most delegates won’t vote for the Amendment now that the questionable sentence has been removed. I hope you are not offended at those of us who profess our belief in God the father and his only begotten son. Yes I perfectly understand both males and females were created in the image of God. No I don’t think it causes harm to any woman if we profess our belief in God the Father and his only begotten Son and to the Holy Spirit. One could even make the argument that in 2018 many young women are excelling academically, socially and professionally whereas many young men are struggling to achieve. I think you and I agree women should be treated equally, but disagree on whether the absence of the sentence which was not supposed to be a part of the proposed amendment will make a difference in the outcome or was theologically sound at the outset. Sorry if you inferred I was calling you a “radical feminist.” And I’ll assume I was wrong in inferring you were calling me misogynist for disapproving the proposed amendment with the questionable sentence included. Does its Biblical origin mean that it should have passed unanimously? If it had been a paraphrase of 1 Cor. 6:9 instead of Romans 8:39, would you have voted for it? Hi David. Sorry I’m slow, but I’m not sure what either Bibical passage you quoted says about God’s fatherhood or Jesus’ male gender. What part of the sentence which was not supposed to be included in the proposed Amendment 1 is a quote from Scripture? Thanks for the clarification. The concern of backdoor maneuvers is a legitimate concern, especially since progressives consistently use verbal attacks against anyone who doesn’t agree with them. Progressives want ONLY their view accepted and want all other voices to be silenced. They are as hypocritical as the fundamentalists, with just as much hate. The Tent and the Tabernacle: Is worship bettered by permanent space?